As Bonnie was decorating the house for Christmas this year, we decided (ok, I decided) that we would not go real heavy on the decorations but would make it more of a simple display. 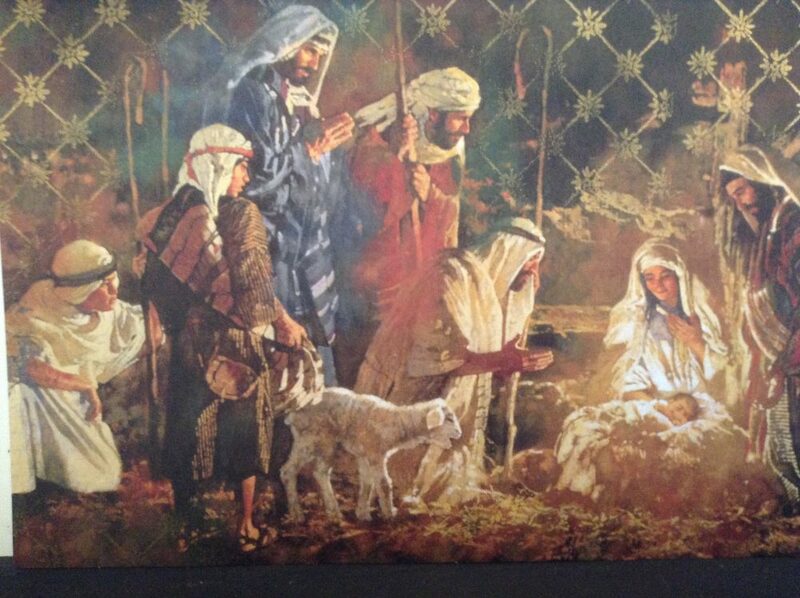 The focus, of course, is on the birth of Jesus: the Son of God; the Savior; the Prince of Peace. 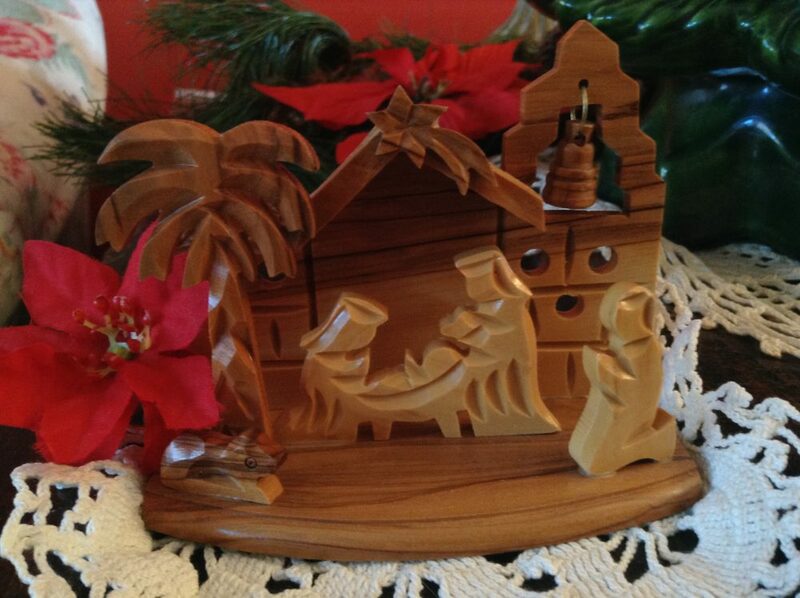 And at Christmas the nativity should hold center stage in our celebration of the King of kings and Lord of lords. 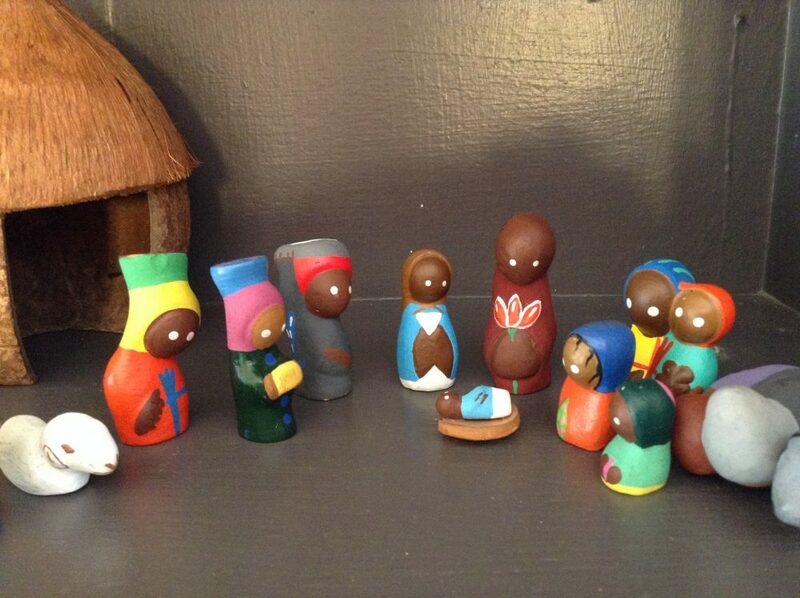 So Bonnie placed a few of her 35+ nativity scenes in various places in our home. 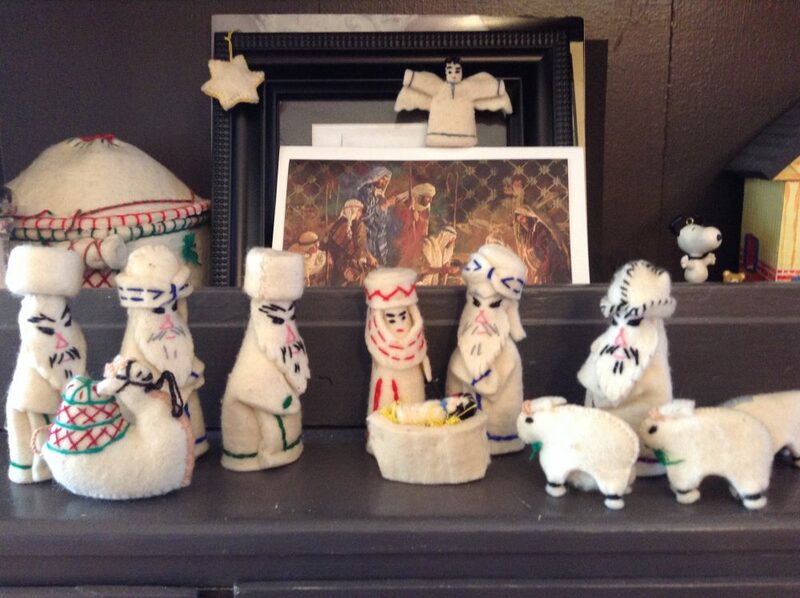 We have several nativity scenes from around the world in our small collection. All of them have special meaning to us, not only because of where we got them or from whom we received them or because of their beauty, but because they all tell the story of the Son of God who left His throne in heaven to come to this earth, suffer and die as payment for the penalty of sin upon us, and who by His blood unites each one who receives that free gift of grace into His family. 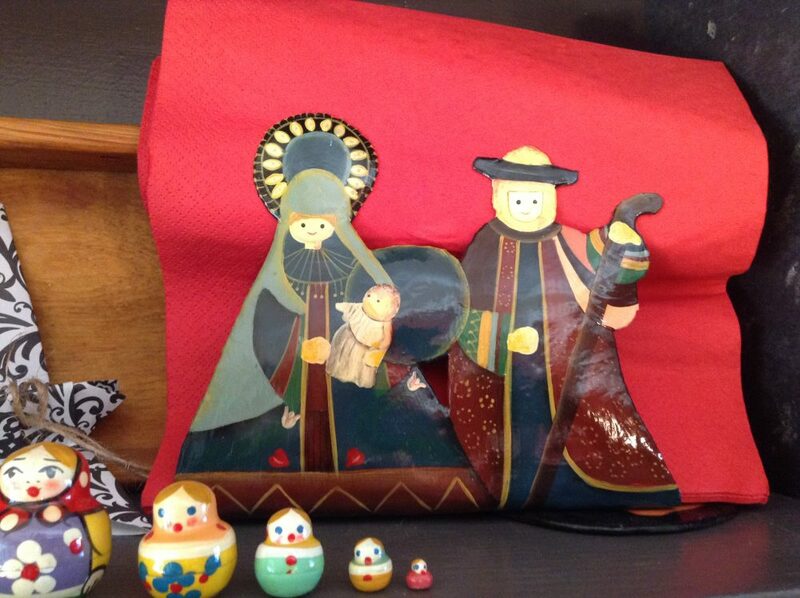 We also save Nativity Christmas cards to display. 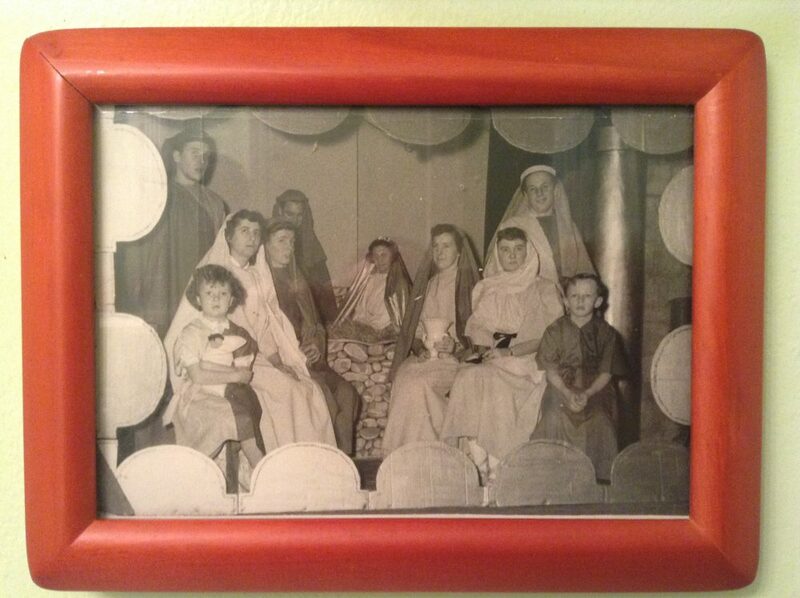 Old friends, the Padgetts, sent us this nativity scene from the past: Radio Temple Church in the early 50s—Bonnie is the child on the far left holding the baby doll. 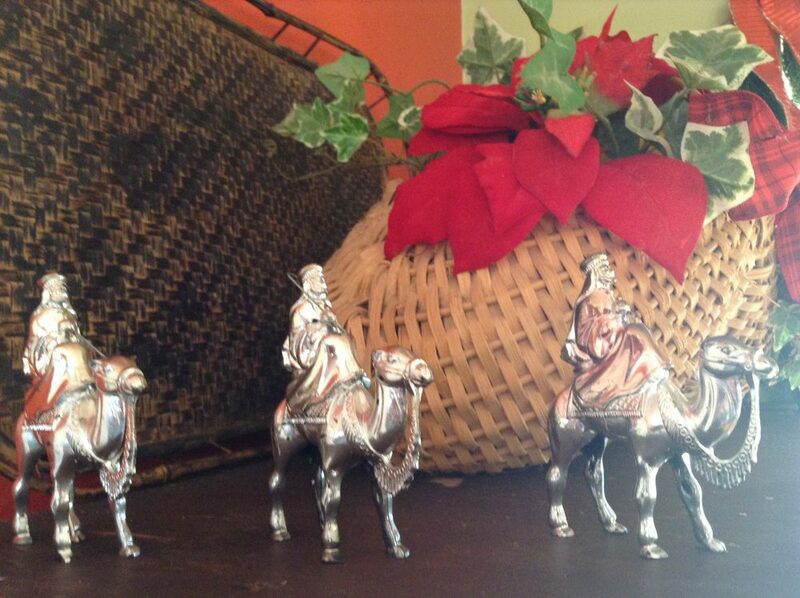 The wise men travel a great distance to see the true King. 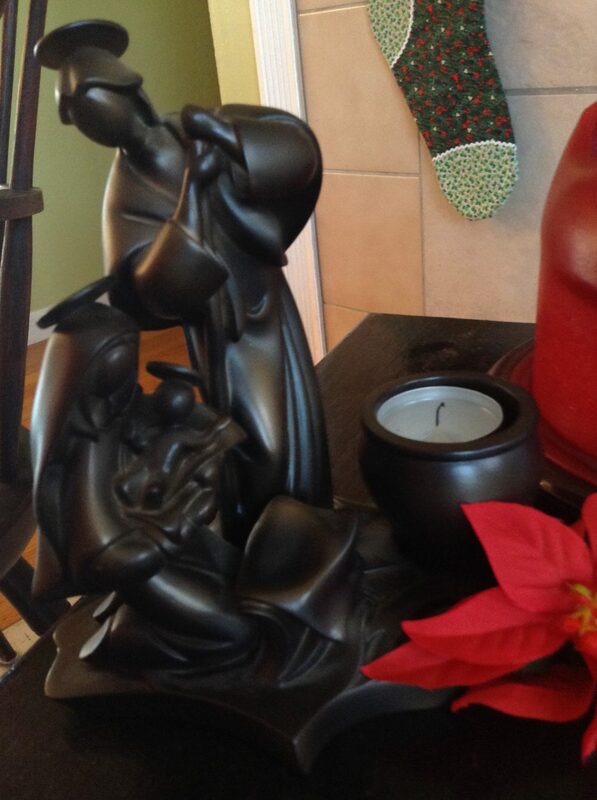 A Gardner family memento. And that family is scattered around the world. I'm not talking just about those who are directly related to our immediate earthly family, but I'm speaking of the greater Family of God from all nations and all ages. Our earthly family is related to us by blood or by marriage. But our greater Family of God are all related by blood only: Jesus' blood and righteousness. 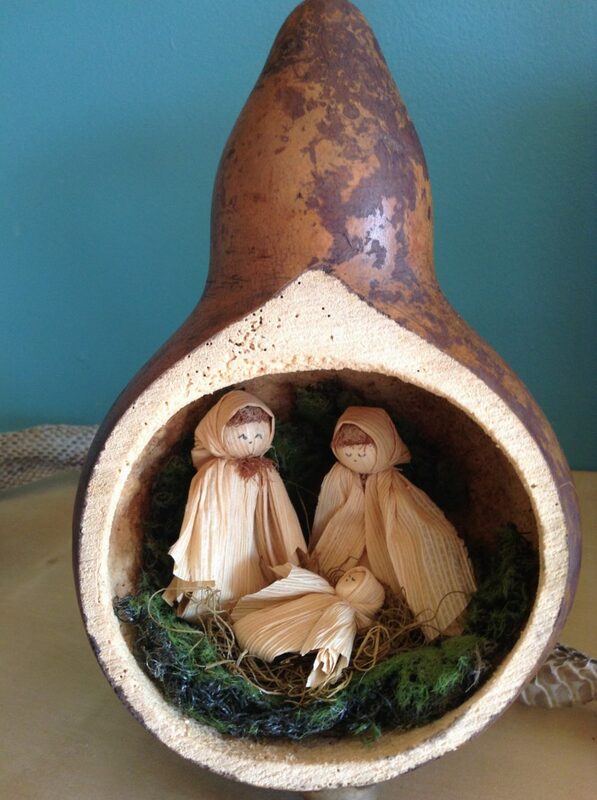 We usually give and receive gifts at Christmas in celebration of the birth of Jesus. Well, the greatest gift that we have ever received is offered to anyone who is willing to receive it. 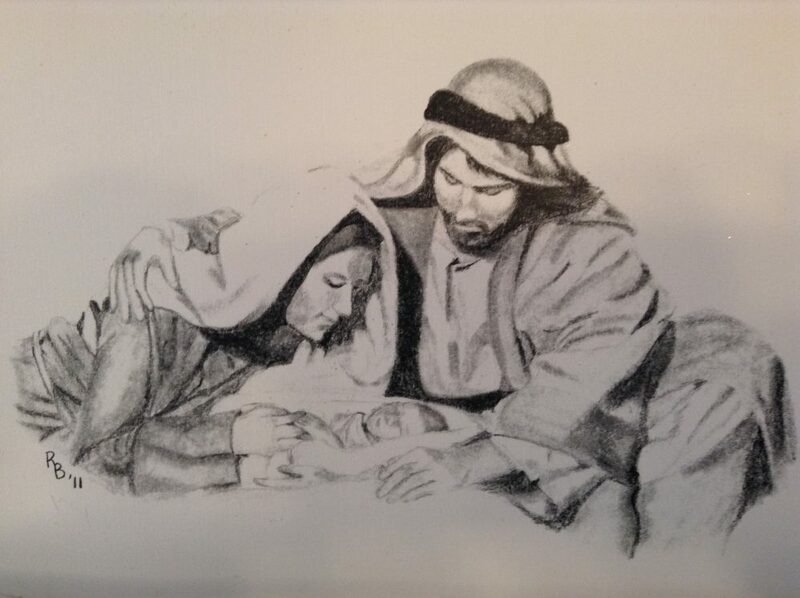 That gift is the gift of being forgiven and having eternal life with our Savior. The way to receive that gift may sound easy, but often it is not so easy. Why? Because sometimes our pride gets in the way of admitting that we have sinned and that we need a Savior. The Bible tells us that Jesus takes away the sin of the world for all who are able to put aside their foolish pride and put their faith in Jesus. If anyone reading this does not now know the forgiveness of sin, what a glorious celebration there would be in Heaven right now if you would receive that free gift. If you don't know how to do that, click here and follow the link you find there. Or, scroll back to the very top of this page and click on the "Know God" link. May each of you have the most wonderful Christmas ever as you rejoice with the angels over the birth of the Savior: Jesus our Lord! 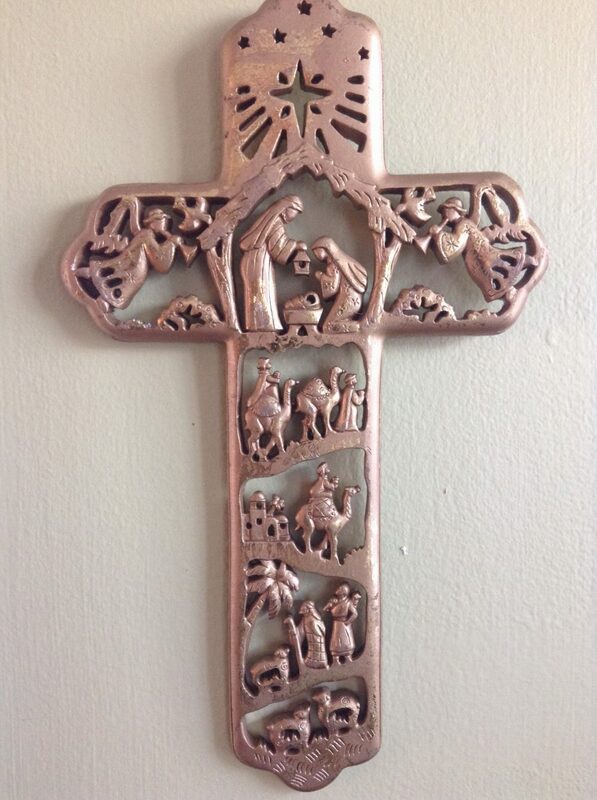 Nativity cross from our friends the Bridges family. 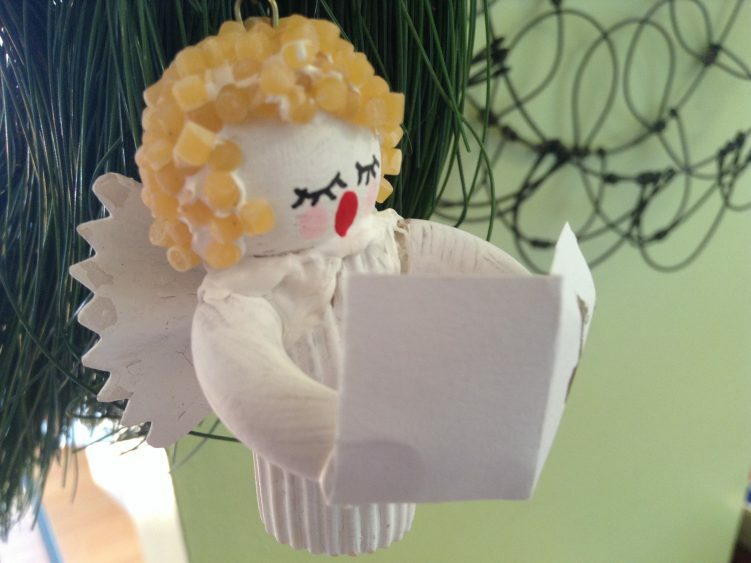 prev Christmas Letter 2015 next Is …there …anyone?